You’re probably familiar with the idea of visiting historic sites for fun. Maybe you’ve headed to Linlithgow Palace to watch Spectacular Jousting? 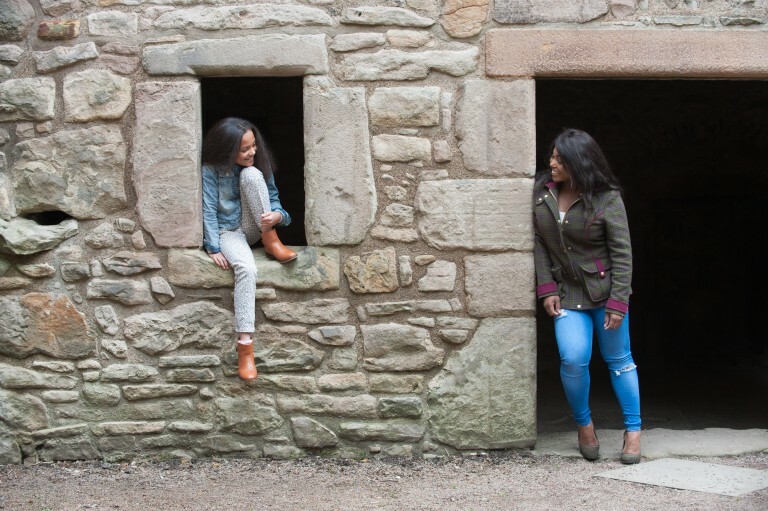 Perhaps you’ve explored Edinburgh Castle with an Easter-egg hunt? You might even have hiked through the countryside to a hill fort. Even if you haven’t done any of these things since your school days heritage tourism, or the idea of going to a historic attraction on a day out, is quite common. But when did we start visiting historic sites for fun? 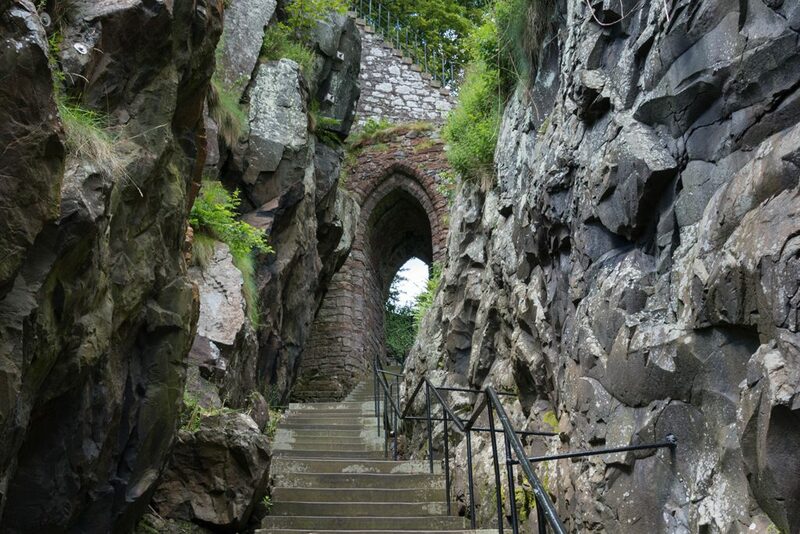 It may surprise you to hear that folk have been taking tours round Scotland or making day trips to see historic sites for nearly three hundred years. 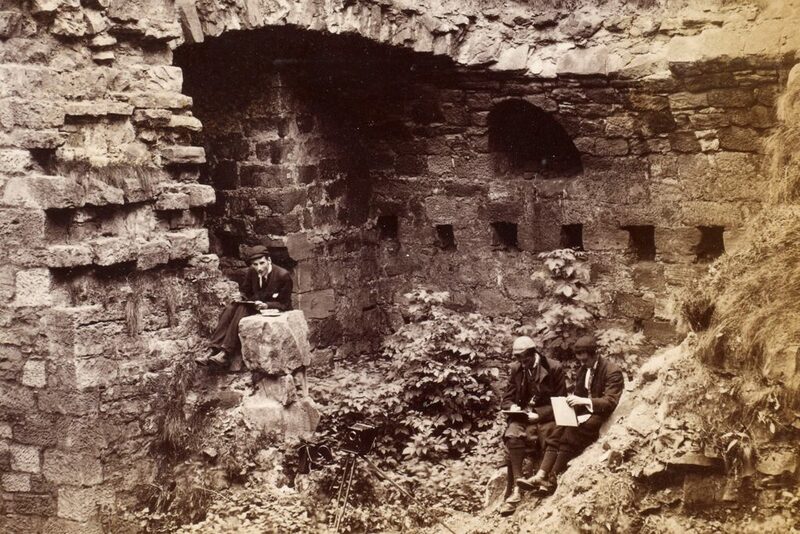 Visitors to Crichton Castle, somewhere between 1860 and 1880 © Courtesy of Historic Environment Scotland (Photograph album 42). The key routes were described in Tours and Journals published by early travellers, like Mrs Sarah Murray. In 1799, she published A Companion and Useful Guide to the Beauties of Scotland. Given Dumbarton was an active military base and Britain was at war with France and Spain, she shouldn’t have been surprised there were some restrictions! Clearly though, whatever Sarah thought about security, Dumbarton was an attraction not to be missed. – Howitt Visits to Remarkable Places, quoted in The Polite Tourist by A. Tinneswood (1998). Edinburgh Castle has long been a tourist honey-pot, with former soldiers originally acting as Guides and Wardens. In 1933 access to large parts of the castle was free, with a sixpence charged for entry the Historical Rooms and David’s Tower. Each year around 200,000 people paid for entry and of course far more visited the free areas. 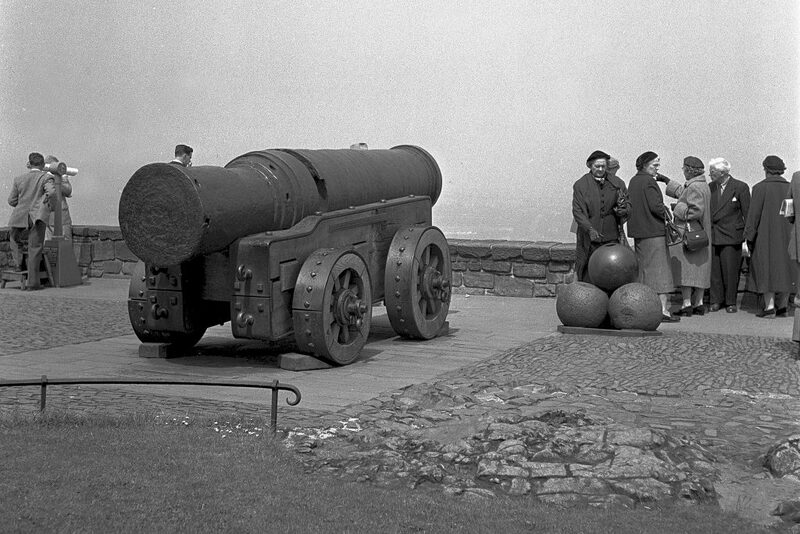 Mons Meg has long been the star attraction at Edinburgh Castle – here she is in 1958 with visitors grouped around her. Do you recognise any relatives here? © HES (Tom and Sybil Gray Collection). 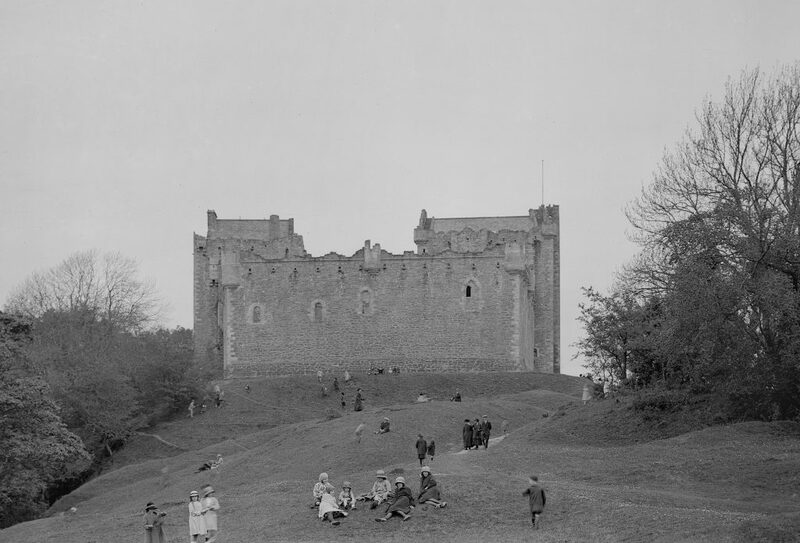 Doune Castle is another one that has been a fixture on the tourist map of Scotland since Sarah Murray visited in 1790s. 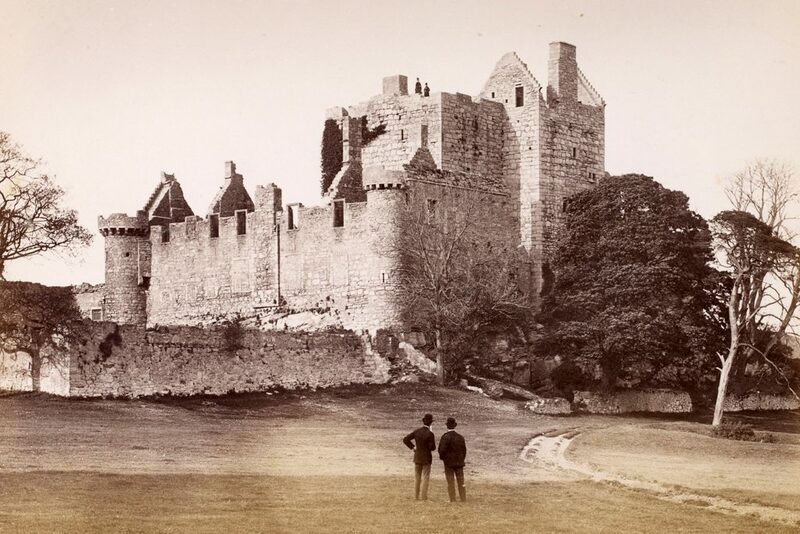 In the 1880s, a former soldier served as Doune’s custodian printing his own guidebook and selling tourists souvenirs carved from the remains of the Gallows Tree. 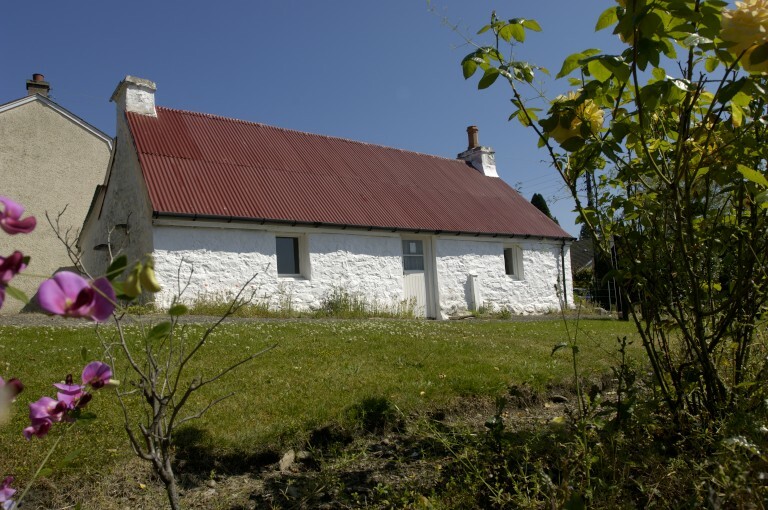 As well as being tourist destinations, some of the sites in our care provided visitor accommodation in the past. In the 1920s, Duff House was a grand country hotel. It was advertised as ‘the sportsman’s paradise’ and boasted golf, shootin’ and fishin’, a billiard room, and a smoking room. 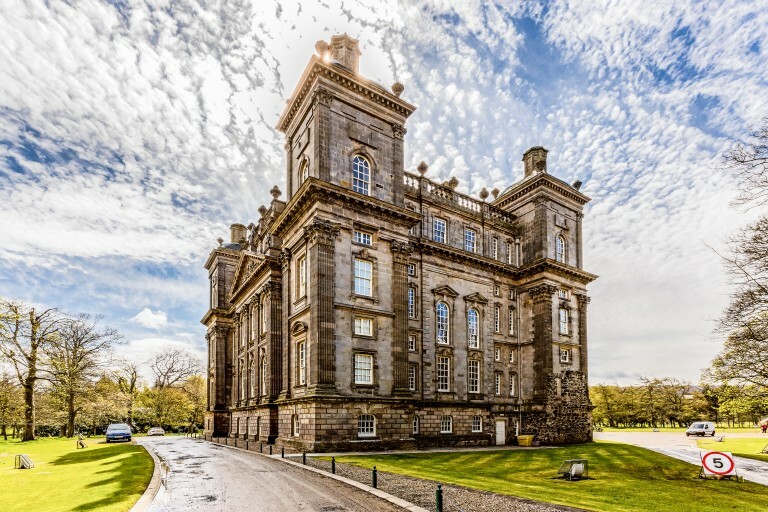 Duff House Hotel boasted golf, shootin’ and fishin’, billiards and a smoking room – a holiday worthy of Bertie Wooster! At the other end of the scale, Sunnybrae Cottage in Pitlochry was a B&B in the 1950s and 1960s. Mrs Jean MacDonald lived at Sunnybrae from 1945 until about 1986. She provided B & B in the cottage and in a wooden chalet in the garden. And finally – an appeal for help! Later in the year, I’m giving a talk about this topic as part of our Journey Through Scotland’s Past lecture series. I’d love to include images of tourists enjoying days out at our historic sites. Taking photographs to record the day out is second nature, and often we can’t resist the cheeky shot. 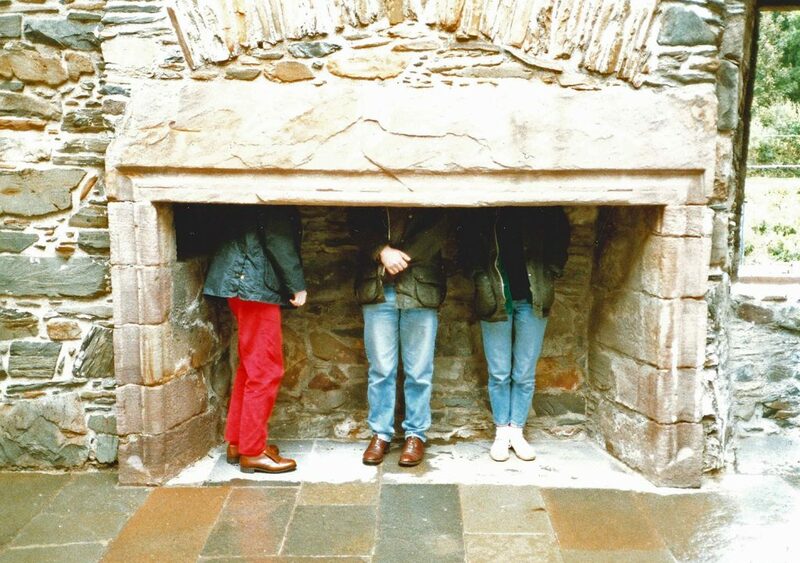 For instance, below you can see me and two pals inside a mystery fireplace in 1988. Bonus points if you can anyone identify it – but what I’d really like is for you to share your own snaps from the pre-digital era. Taking photographs to record the day out is second nature – and often we can’t resist the cheeky shot! 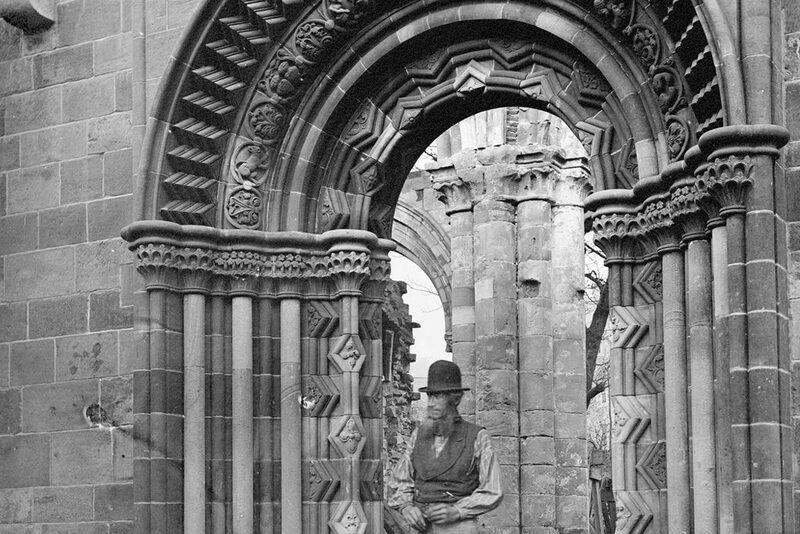 Do you have any photographs from days out to historic sites in the 1960s, 70s or 80s? 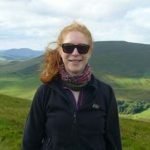 Send Judith an email for the chance to feature in her talk, A Journey Through Scotland’s Past: Age of Leisure and Pleasure, on 19 October.